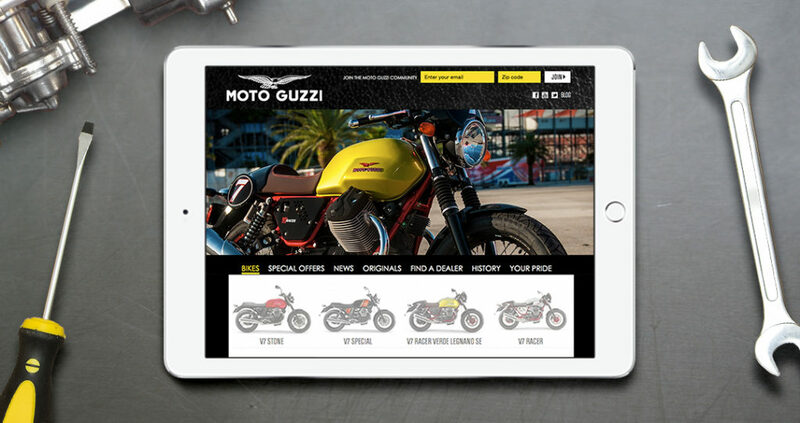 With a long manufacturing history, Motoguzzi is one of the world’s top motorcycle innovators. They needed a website that highlighted their history and technical prowess while also representing their refined style and character. 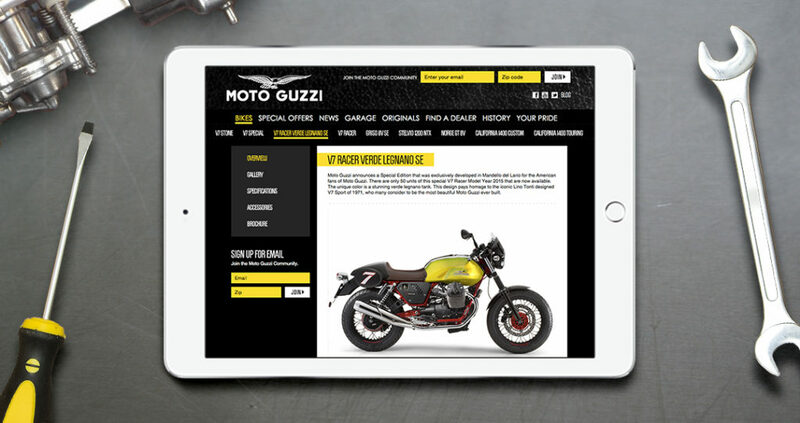 Motoguzzi’s new website was built with ease of use features in mind. Features include revealing their bikes drop from their navigation. This allowed customers to browse their selection without switching pages. The “Find A Dealer” feature provides their customers a quick and easy way to find a dealer to buy from.